Aug. 9, 2018 — The OH-12 special congressional election drew major attention Tuesday evening as state Sen. Troy Balderson (R-Zanesville) and Franklin County Recorder Danny O’Connor (D) battled well into the night before it became clear that the GOP had again escaped with a close victory. Despite the loss, Democrats began looking toward November as they made the point that their candidate exceeded typical voting patterns in what should be a Republican district. Prior to the election, the Daily Kos Elections Page featured a set of predictions from David Jarman, one of the site’s principals, who developed a model posting Democratic benchmarks for every county throughout the district. The numbers represented the percentage that O’Connor would need to obtain in order to score a bare 48-47 percent win over Sen. Balderson. The prediction chart proved almost precisely accurate. Over-estimating the percentages that Green Party nominee Joe Manchik received was the only flawed calculation. The Jarman prediction suggested that Manchik would garner in the neighborhood of five percent, but the actual figure was only 0.6 percent. 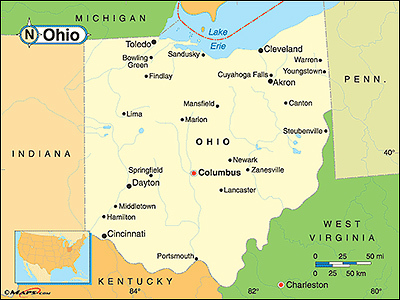 Aug. 8, 2018 — The multiple pollsters who predicted a very tight OH-12 special election finish last night proved correct, as Ohio Republican state Sen. 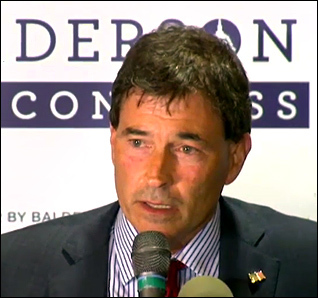 Troy Balderson (R-Zanesville) defeated Franklin county Recorder Danny O’Connor (D) by a scant 50.2 – 49.3 percent margin, or an unofficial spread of 1,754 votes from a turnout universe of 202,521 people. The turnout was just eight percent less than the number present in the 2014 midterm election, and ranks fourth highest among the 10 special US House elections conducted after the 2016 general election. In four of these contests: AZ-8 (Rep. Debbie Lesko), GA-6 (Rep. Karen Handel), MT-AL (Rep. Greg Gianforte), and PA-18 (Rep. Conor Lamb), special election voter participation actually exceeded the number of people voting in the last midterm. The 12th District vote again revealed a stark difference in the timing of how the preponderance of Democrats and Republicans cast their ballots. Democrats dominated the early voting, sending O’Conner to an early 8,000-vote lead, but that advantage dissipated when the people who actually visited a polling booth recorded their votes, allowing Sen. Balderson to take the lead and win the campaign. Balderson carried six of the district’s seven counties, but lost the anchor county, Franklin, by a large 65-35 percent margin. In four of the local entities, the Republican topped 60 percent of the vote. The Kansas Republican gubernatorial primary is yet to be decided. With 185 precincts in Johnson County still outstanding — the rest of the state is complete — Secretary of State Kris Kobach holds a 40.7 – 40.5 percent lead over Gov. Jeff Colyer, a difference of just 541 votes, statewide. But Colyer’s margin in the Johnson County vote already recorded (43.6 – 36.6 percent) gives the governor a 4,011-vote edge. Aug. 7, 2018 — We finish our look at today’s primary elections, covering Michigan and Washington, and the OH-12 special congressional election contest. The US Senate and open governor campaigns lead the Michigan ticket today. Sen. Debbie Stabenow (D) will learn whether she faces venture capitalist Sandy Pensler or retired Army Ranger and manufacturing company owner John James, the latter a President Trump-endorsed candidate, in the fall campaign. The senator begins the general election in the clear favorite’s position. With Gov. Rick Snyder (R) ineligible to seek a third term, competitive Republican and Democratic primaries will be both settled tonight. For the GOP, Attorney General and former US Congressman Bill Schuette has enjoyed double-digit leads in all polling for several months over Lt. Gov. Brian Calley. On the Democratic side, former state House Minority Leader Gretchen Whitmer has been the clear leader almost since the campaign began, and she is expected to defeat former Detroit Health Commissioner Abdul El-Sayed and businessman Shri Thanedar. 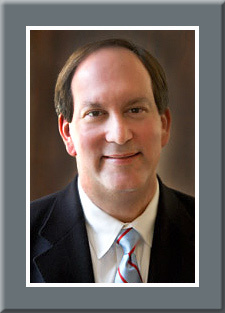 The general election promises to be highly competitive in this pivotal redistricting state. Three open seats are the top attractions in the congressional contests. In veteran Rep. Sander Levin’s (D-Royal Oak) open seat, it appears the retiring congressman’s son, energy consultant Andy Levin, is the clear favorite in the Democratic primary. The 9th is a decidedly Democratic district meaning Levin’s chances of succeeding his father in the general election are strong. Rep. David Trott (R-Birmingham) is retiring from Congress after two terms and leaves a toss-up political contest in his wake. Crowded primaries are present for both parties, including a Republican race featuring five candidates, while the Democrats have an additional five people running. Trump state co-chair Lena Epstein has developed a late lead in two Republican primary polls, while former Treasury Department official Haley Stevens and state Rep. Tim Greimel (D-Troy) appear atop of the Democratic contest.